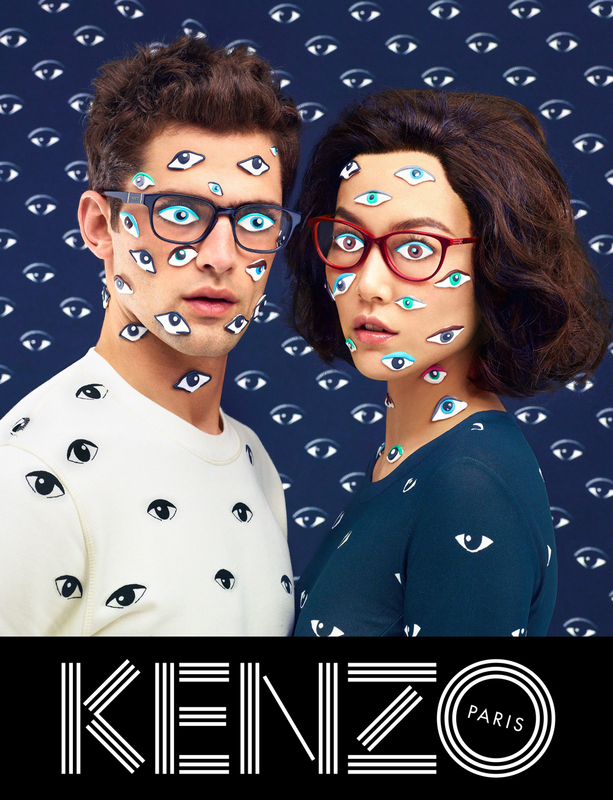 The joyful, pop-surrealist style advertising campaign launched by Parisian label Kenzo is the result of collaboration with experimental picture-based magazine ToiletPaper. 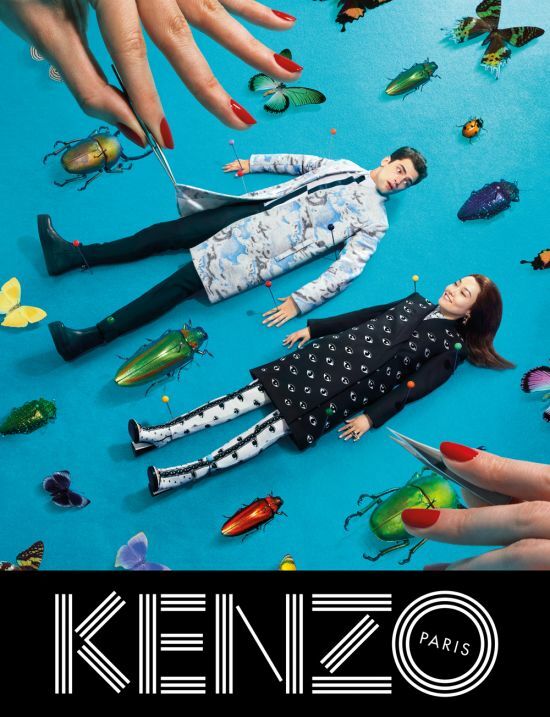 The creative directors at Kenzo, since 2011, Humberto Leon and Carol Lim, who are also the founders of New York concept store Opening Ceremony, brought back the label's core values as set by Kenzo Takada in the 1970's; its love for colour, travels, art and culture while also instilling their own youthful, unbound vision. 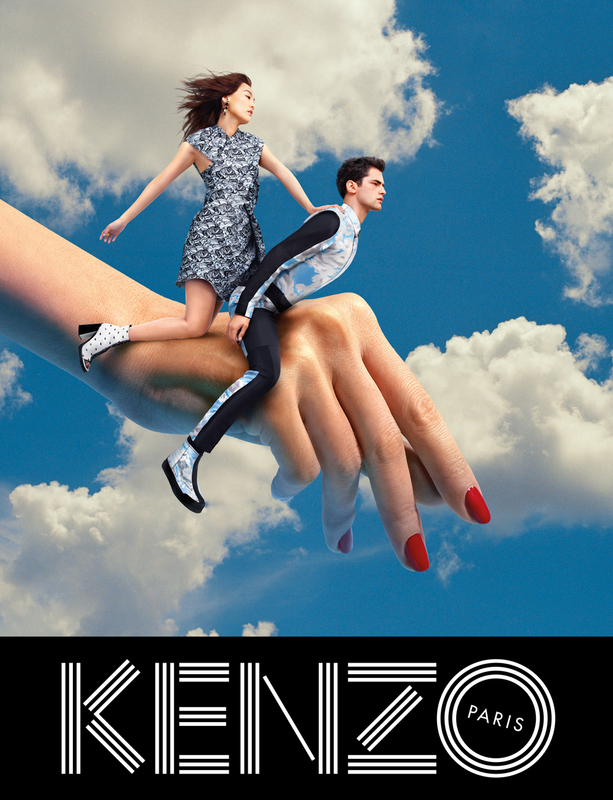 Japanese actress Rinko Kikuchi and U.S. model Sean O'Pry star in Kenzo fall/winter 2013 fashion ad campaign. 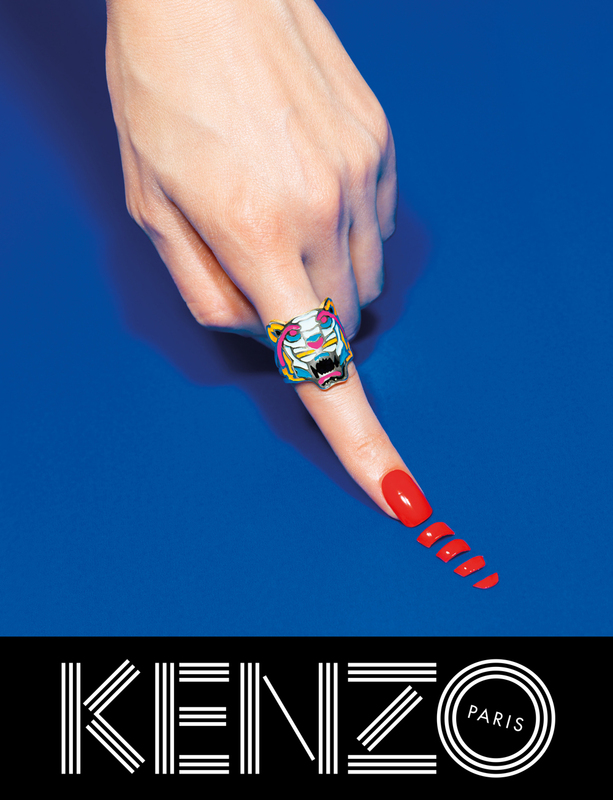 Maurizio Cattelan and Pierpaolo Ferrari with the art direction of Micol Talso founded the provocative, tongue-in-cheek named ToiletPaper magazine in 2010. 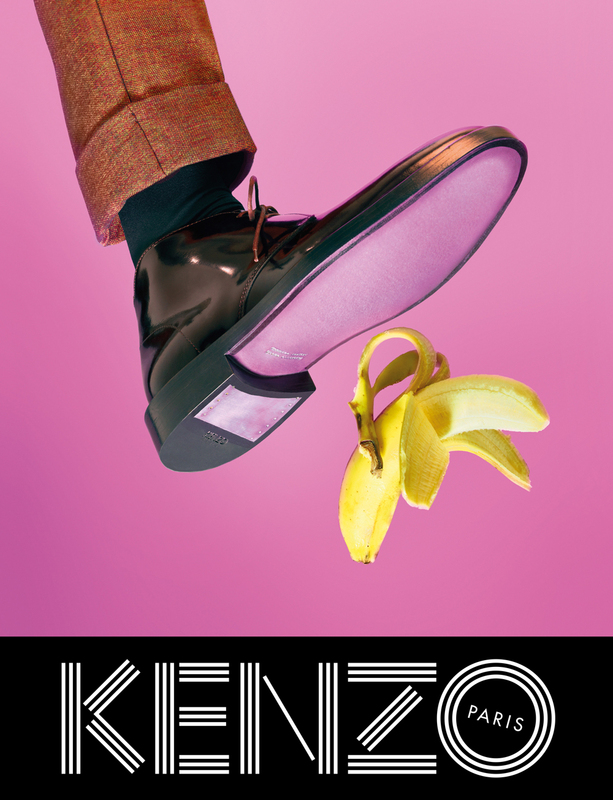 The photos published in the magazine have been featured on Palais de Tokyo’s front windows and were reviewed in The New York Times’ Top 10 Photo Books (the first 6 issues anthology) and met their commercial success applied to a variety of products and media. 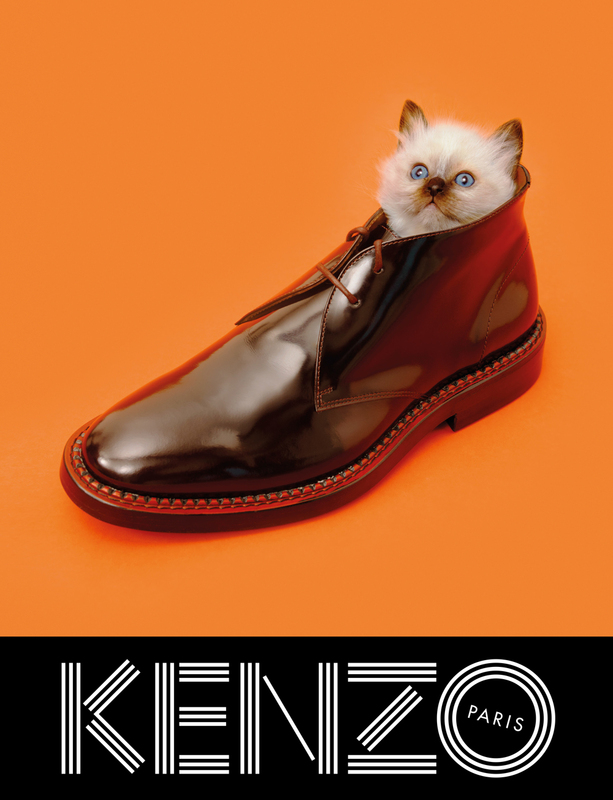 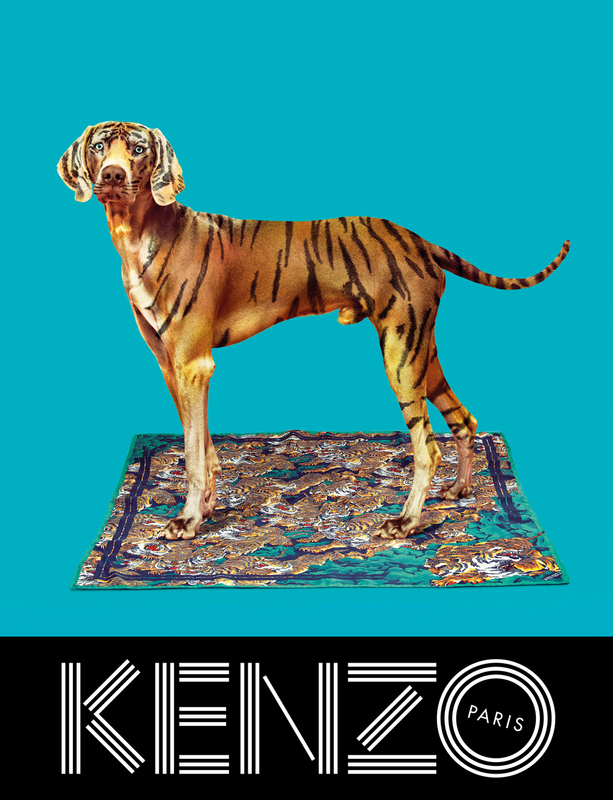 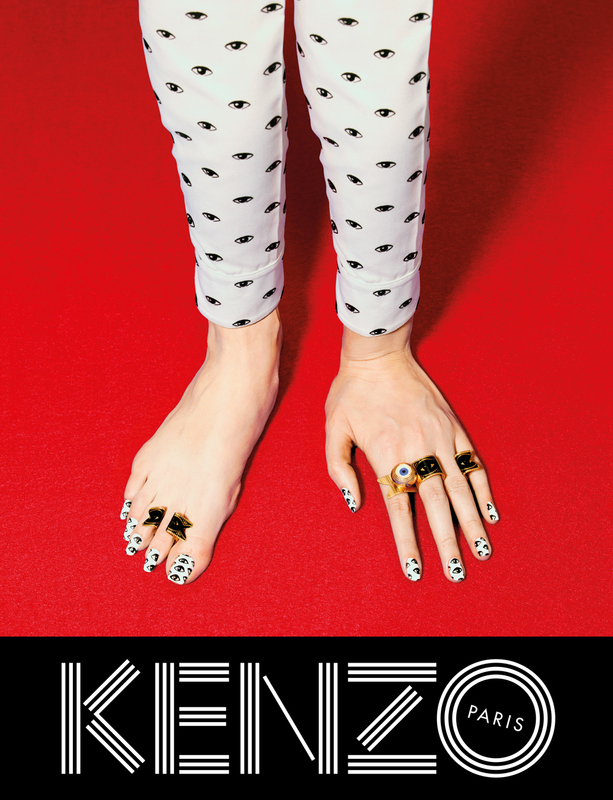 The collaboration will continue for Kenzo Spring 2014 ad campaign, as teaser images are being published.